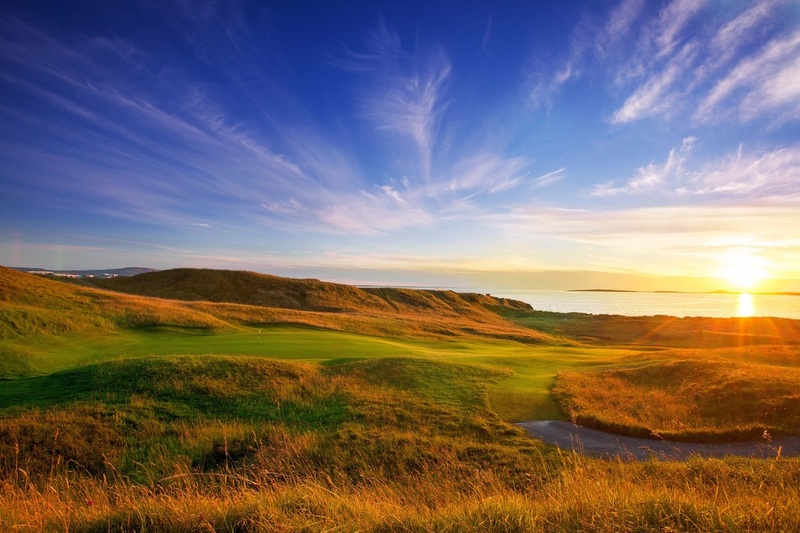 Think of a golf trip on Ireland’s West coast and you will imagine some of the most spectacular links courses in the world. 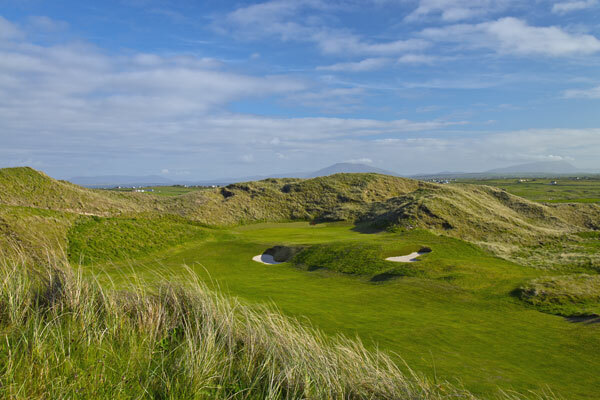 Mountainous dunes, cavernous bunkers, rolling fairways- making for some of the best golf courses you will play in Ireland. 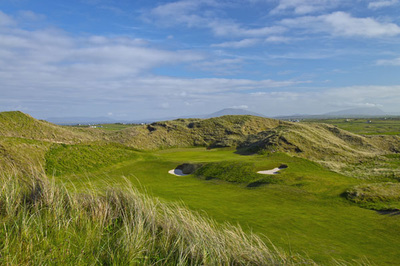 Connemara, 27 holes of great golf, Carne in splendid isolation and Enniscrone, the best kept secret in Irish golf. 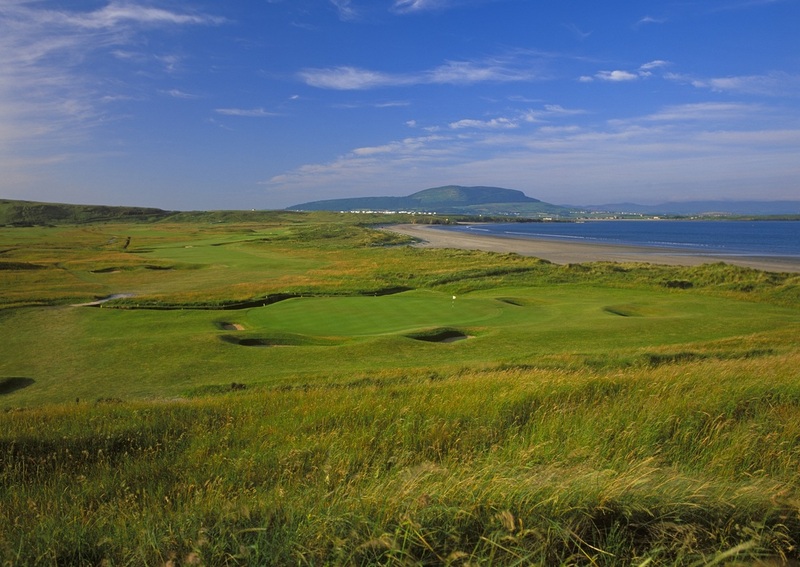 County Sligo (Rosses Point), host to the West of Ireland amateur golf championship and Donegal ( Murvagh) are some of the places yo will most likley want to play again. And for good measure play Lahinch and you will return home with many lasting memories of the best of Ireland golf. 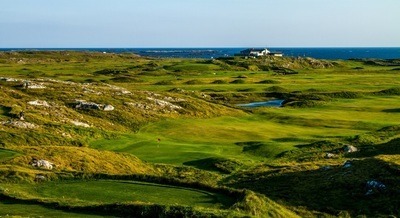 Connemara Championship Golf Links, the only links course in Co. Galway, is nestledbetween the scenic splendour of the 12 Bens mountain range and the rugged Atlantic Ocean. 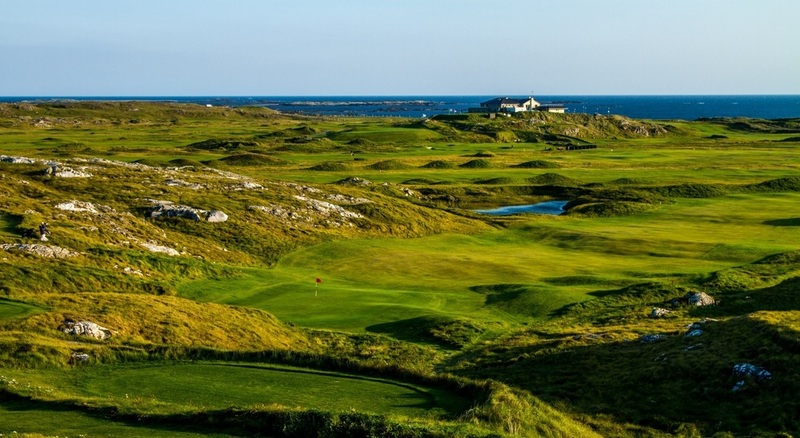 This beautiful isolated links course, founded in 1973 and designed by Eddie Hackett lies to the West of Clifden along the Wild Atlantic Way. 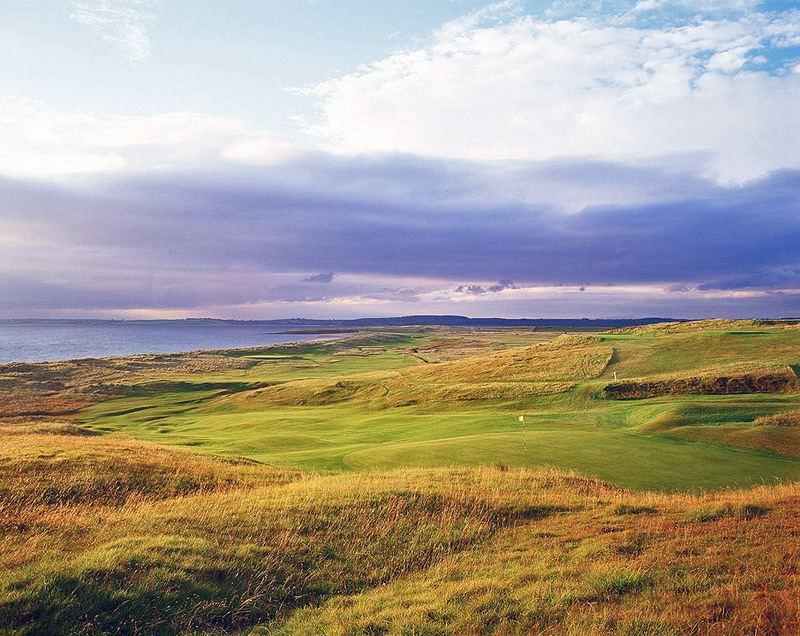 From the testing dog leg opening hole through to the breathtaking back nine, the course is a test for all levels. 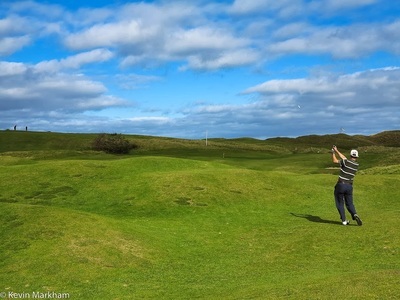 In recent years an additional 9 holes were unveiled to add a further dimension to the exhilarating Connemara golfing experience. Carne on the West Coast of Ireland lies in magnificent unspoiled sand dunes overlooking Blacksod Bay and the wild Atlantic Ocean near the town of Belmullet. 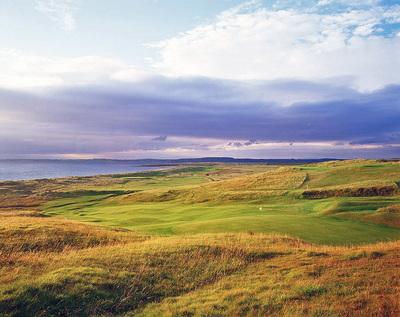 Carne Golf Links was the last links course to be designed by the late Eddie Hackett and it is now believed by many who have played it to have been his greatest challenge. 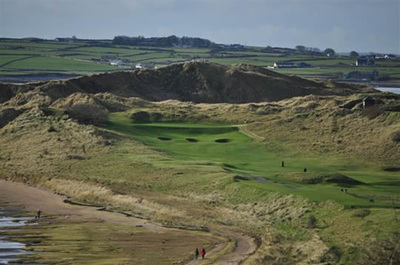 The building of Carne Golf Links has caused little disturbance to this wild and ancient landscape. Tees and greens occurred naturally and very little earth moving was involved in the course construction. 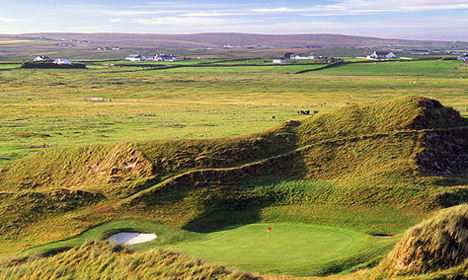 There are some breathtaking views over the Atlantic and the legendary islands. 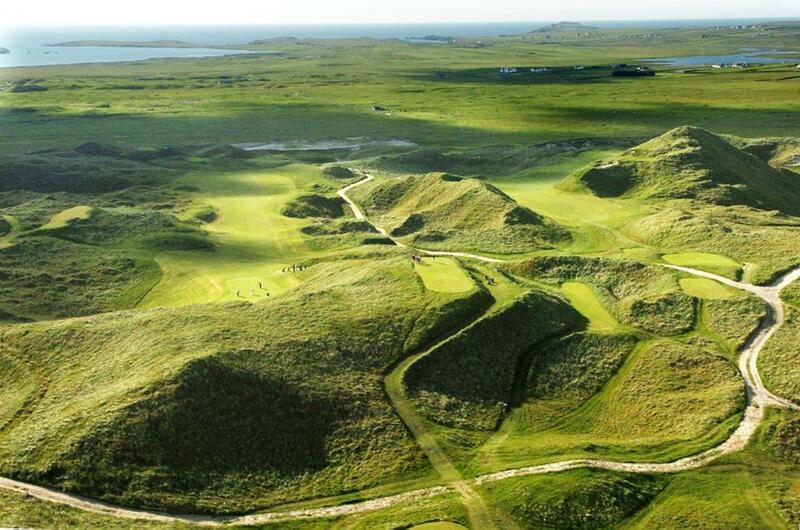 An additional 9 holes opened in 2013. 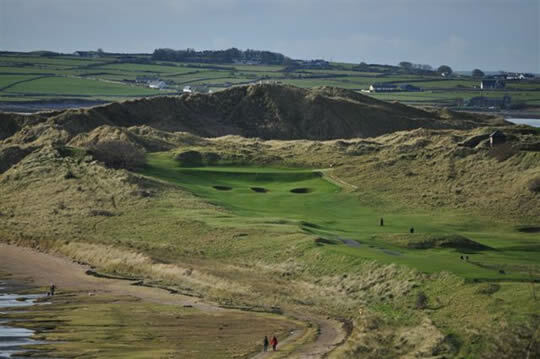 Carne Golf Links from AirSwing Media on Vimeo. 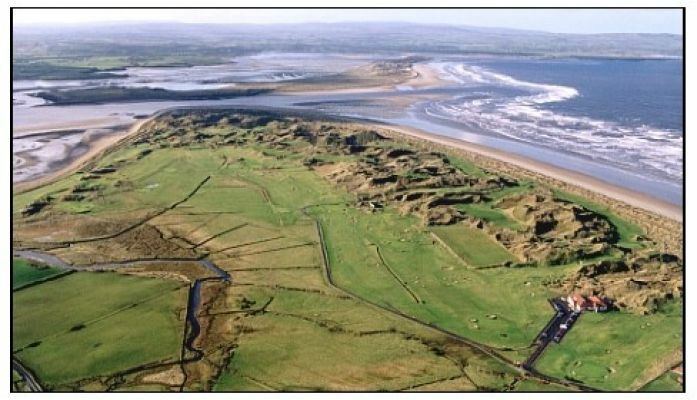 Among the finest and most challenging traditional Irish links golf courses, Enniscrone began in 1918 as an unrefined nine-hole course near a seaside village. Today, Enniscrone offers 27 holes on 400 acres of magnificent links land, featuring the par 73 Dunes Championship Links Course. 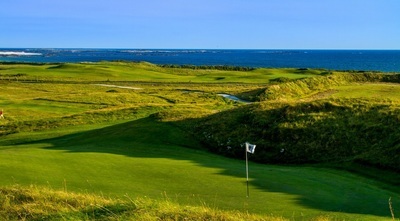 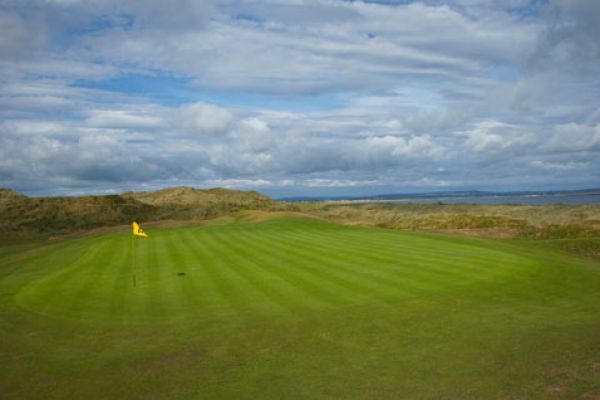 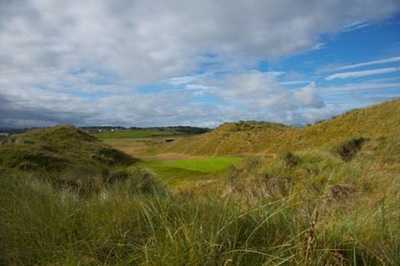 Enniscrone regularly features towards the top of the rankings for best courses in Ireland and is described by American golf travel writer Tom Coyne, as a must play course on an Ireland golf trip. Home Internationals, the Irish Close and the Irish Professional Matchplay Championship. 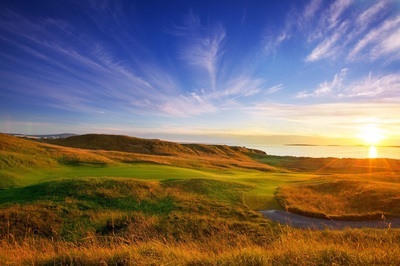 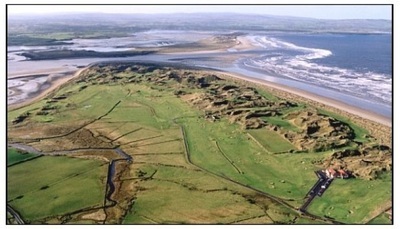 The course was redesigned by the famous golf architect, Harry S. Colt, in 1927 and continuous improvements have been made over the years to make the County Sligo course, in the words of the great Peter Alliss, “a tremendous test for the highest quality player and great fun for the modest competitor”. 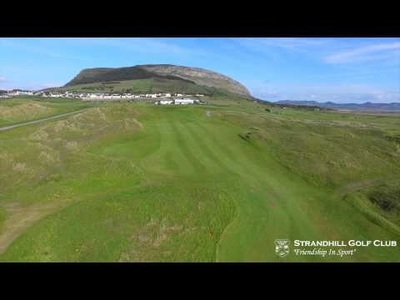 Strandhill Hill Golf Club is a beautiful 18 hole links golf course situated on Ireland's Atlantic coast in Strandhill, Sligo. The course boasts stunning views of the surrounding countryside and ocean with Knocknarae mountain providing the back drop. This par 70 course is relatively unknown to many visiting golfers and can be described as a little gem located between County Sligo Golf Club and Enniscrone.